The horrible attack on the Westgate Mall in Nairobi by members of the Alshabab terrorist group from neighboring Somalia is the act of a declining political movement that has lost enormous ground in recent years. When we see this sort of naked terror, it is important to know if an ascendant group is announcing itself or if this is a chicken that has had its head cut off and is now frantically running around headless on its way to oblivion. Alshabab is an offshoot of the fundamentalist Islamic Courts movement that took over Somalia briefly in the last decade. 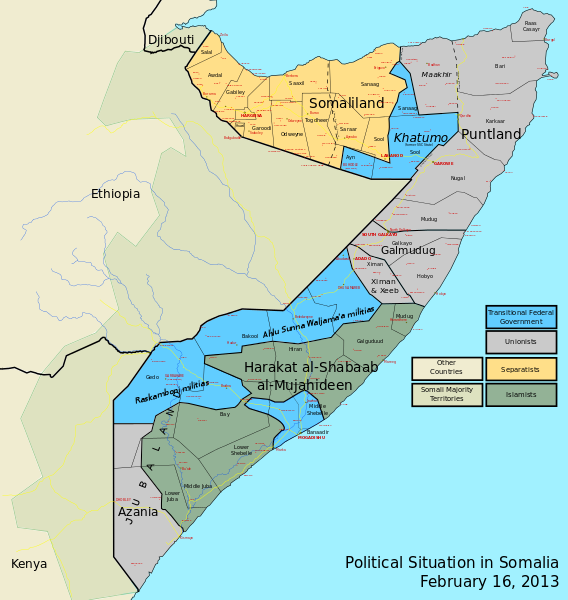 Alshabab itself hung on as one faction in the capital until summer of 2011 when it was forced out of Mogadishu. Then last year this time it was expelled from the port of Kismayu, by the Somali federal government forces in alliance with AMISOM, the joint African peace-keeping troops of Kenya, Ethiopia and some other countries. 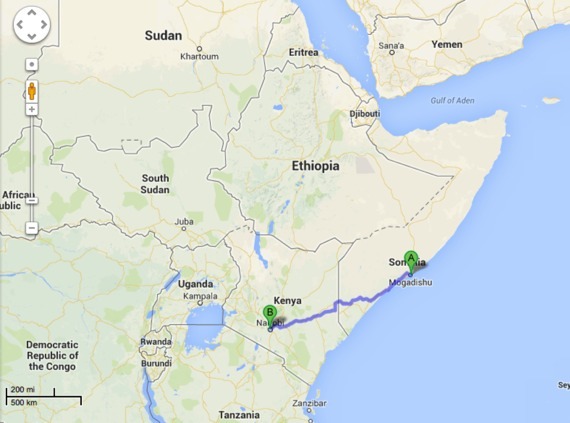 In the past year, Alshabab has launched a number of attacks on Kenya in revenge at the border. As it has lost power in the capital and lost access to a key port, retaining only an impoverished rural power base, the group has become even more extreme, announcing last year an affiliation with al-Qaeda (though even some leaders found this step unacceptable and split). In 2010 Alshabab detonated a bomb at a soccer stadium in Uganda, killing 79.